Graduate Student Affairs offers temporary housing at a reduced rate for new, incoming Stevens graduate students at the Sheraton Lincoln Harbor Hotel (500 Harbor Blvd. Weehawken, NJ 07086). This housing is offered specifically to new graduates to allow students a short amount of time to find permanent housing in the area for the school year. Advance registration is REQUIRED. Stevens is unable to house students who have not made the necessary arrangements ahead of time. Temporary Housing registration for the Spring 2019 is now closed. If at the moment you have questions about Temporary Housing, please contact our office directly by email at graduatelife@stevens.edu. Temporary housing availability will begin on Monday, January 7, 2019. The last evening for available housing will be on Thursday, January 31, 2019, with a final checkout date and time of no later than Friday, February 1, 2019 at 12:00 PM. Students must check out of the hotel and vacate the room by 12:00 p.m. on their last day. Hotel location to be announced. There will be a shuttle service that runs between the hotel and Stevens, during weekdays in the mornings and afternoons. The shuttle service will not run during weekends. The cost for the Spring 2019 Temporary Housing program is $45 per person per night, for a double occupancy room (typical cost at the hotel is $250 per night). The cost is per person, with two students per room. All rooms at the hotel have 2 full-sized beds, one couch, one television, and attached full bathroom. Bedding and bath towels are provided. Hotel gym and WiFi is available. Meals are not included. Cancellations: You may cancel your reservation for a 100% refund. If you cancel your reservation after Friday, December 28th at 12:00pm (EST) you will be charged a $200 cancellation fee. No refunds will be issued for nights reserved but not used. By accepting this waiver, you agree that you have read and understand all of the Stevens temporary housing policies. You further acknowledge Stevens is not responsible for personal or possession damage before, during, or after your stay in temporary housing. Upon availability, we are able to place you with a requested roommate (who is also a new, incoming Stevens Graduate student) of the same gender in the same room. Please note that roommate requests are not guaranteed. Please include the name and CWID of your requested roommate in your temporary housing registration. Extensions may be approved depending upon availability of vacancies at the Temporary Housing location within the January 7th to 31st time frame. Further detailed information about Temporary Housing will be emailed to you upon confirmation of your reservation. For questions about temporary housing, please email graduatelife@stevens.edu, or call 201-216-5633. If you choose not to use Temporary Housing through OGSA (above), there are several hotels in the Hoboken, Jersey City, and Weehawken area near Stevens. Below is a list of some hotels – you may contact them directly and make your own arrangements separately. Stevens Institute of Technology is not affiliated with these hotels and this list serves as an informational resource only. 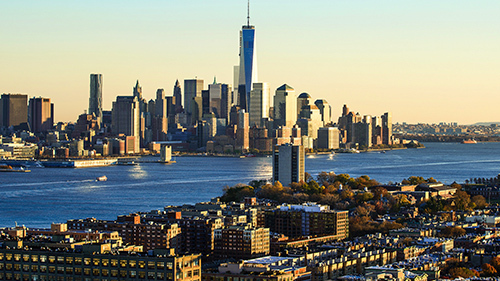 You may also consider hotels located in Lower Manhattan in New York City. The closest and most convenient neighborhood is West Village (take the PATH subway/train to Hoboken). Hotels in New York are likely to be more expensive. Many people looking to rent an apartment in or near Hoboken find that it is easier to use a realtor to help them in their search. Realtors typically charge a fee for their services, but will be able to help you find a home that is better suited to your budget and needs.